Real Estate investing is supposed to lead to extra cash, provide you with extra time and create massive amounts of wealth, so you can be free from the financial pressures of everyday life. The challenge is you don’t have any leads.... you’re not doing any deals... and you’re frustrated with all of the competition from other investors. Chris McClatchey is a nationally recognized speaker and coach who teaches investors – beginning and seasoned veterans – how to build and maintain real wealth through the use of real estate investments. He has been investing for over 15 years and he has figured out a thing or two that allows you to give the seller EXACTLY what they need while you get EXACTLY what you want. Let Chris McClatchey walk you through his proven system to get as many leads that will turn into as many deals as you can handle without any competition from other investors! How you can find deals with "No Money Down." How you will find leads other investors can’t. How you can put thousands of dollars in your pocket at closing. The strategies that will get you properties FREE & CLEAR in a few years. How you can communicate with seller’s so they give you seller financing. The skills you need to influence sellers to sell their property to you at 0% interest. How you can double and triple the number of deals you are doing now. Giving the seller what they NEED, so you can get what you WANT. 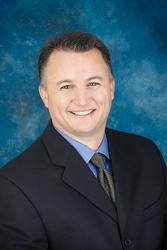 In addition to being a real estate investor himself, Chris has spoken around the country, taught for National REIA University (including being chosen as their Lead Educator for all their introductory videos) and is a licensed Attorney. He currently resides in Florida with his family and owns several Real Estate Investment Companies and a Real Estate Brokerage company. As a Nationally recognized real estate investor, speaker and coach, Chris has worked hard in creating cutting-edge products and specialized training in Creative Real Estate Techniques, Automation Systems and Transaction Engineering Investments.